Life is a playground that provides an infinite array of experiences and opportunities to learn, grow, and have fun! For much of my life, I had stuck to routines that felt safe and comfortable. This contributed to me feeling like I was dying a slow death. I knew that there was something more than what I was allowing myself to experience. 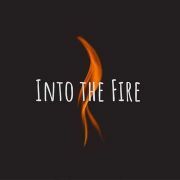 Into the Fire is an opportunity to breakthrough the monotony of well-worn behaviors into realms yet to be explored. Each meeting, we will share how we have lived our lives up to this point, our fears, what brings us alive, our curiosities, our heartfelt dreams. Then we will intentionally choose to jump into the fire, which means that we will select an action to engage in that moves us towards what we want to manifest in our lives that has heart and meaning. This action can be anything that you choose. The only guidelines are that the action must have you dancing with the edge of your comfort zone and it must be something that supports you in breaking through limiting beliefs about yourself and the world. Lastly, and most importantly, the action must not cause harm. We get to move into the fire of the unknown to burn away illusions that we've carried about ourselves and the people around us. Within the supportive structure of the group, we get to share our experience with our Out of the Zone Action. What was your experience? What worked? What didn't? How did you feel? What did you learn about yourself and the world? Through this process, we get to create the opportunity to become alive, to grow, to expand, to be supported, to be seen, to be heard. <br>Life is a sumptuous feast, so let's dig in!